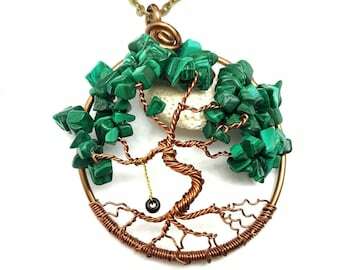 Our #1 Selling Tree-of-Life for 5 years and counting! Become one of many around the world who will be looking out your window through the foliage on your own Aquamarine Tree-of-Life. Your amazing Aquamarine Tree of Life window or wall ornament is made just for you after it has been ordered. 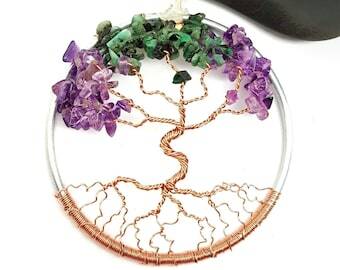 The Tree-of-Life in this listing is created to hang in a window, on a wall, or even from your rear-view mirror in your car. It is made of Aquamarine bead chips and copper wire wrapped on a Silver steel ring. 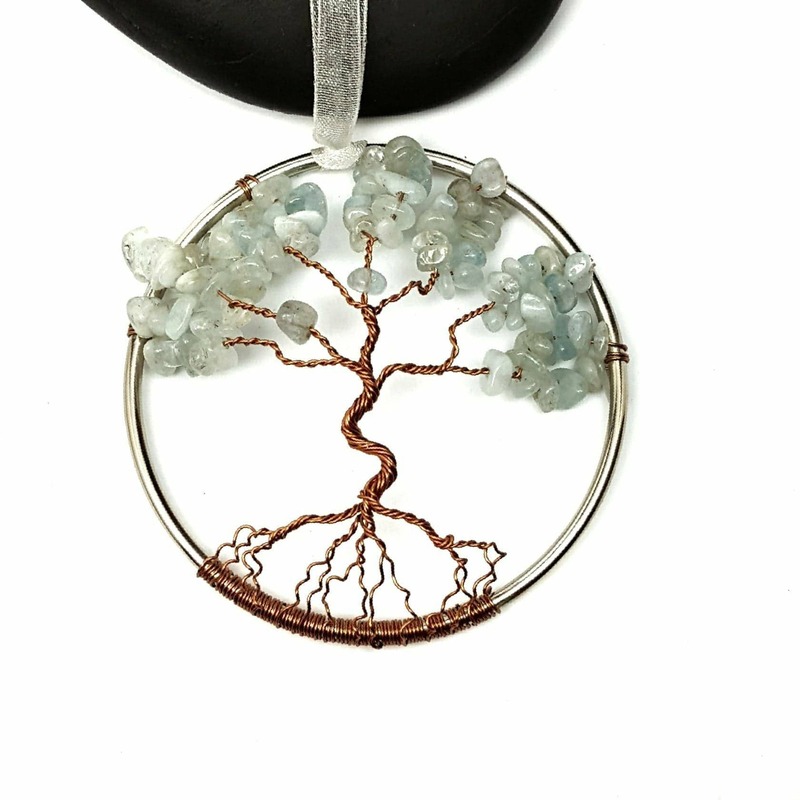 Your tree will look very similar to the pictures in this listing but will vary some, as each Aquamarine Tree-of-Life is made to order. 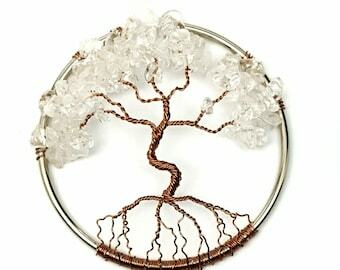 Each Tree of Life is packaged in a white swirl top cotton lined gift box and ships free domestically.